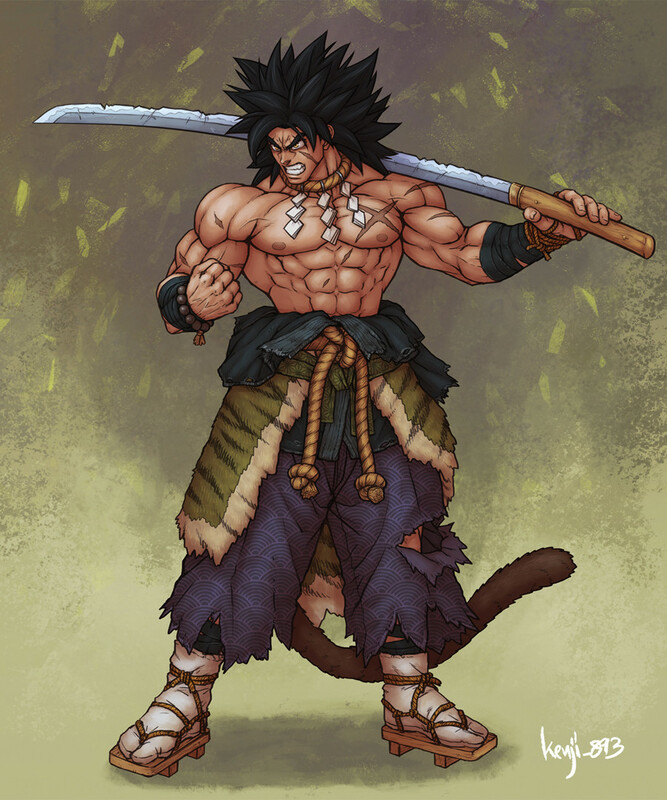 Here we witness the savage samurai Broly! 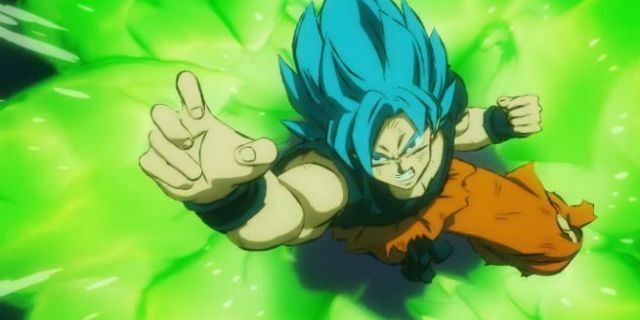 While Broly is a pure innocent boy who acts based on his emotions, the artist has captured his savage, angry form we saw in the movie Dragon Ball Super: Broly. It looks like Broly is in his Ikari form. Even then, Broly seems so huge and bulky. His katana is also damaged and rusty but it totally suits his physique and appearance. This is one hell of a samurai. You don’t want to mess with this guy! This is also one of my favorites! Kenji uploaded this design just a few weeks back and I think this is one of his best design. I love how he let Samurai Future Trunks keep the Saiyan tail. This design has a lot of ‘Ninja’ elements but overall the design is really cool! I would love to see this design get animated. 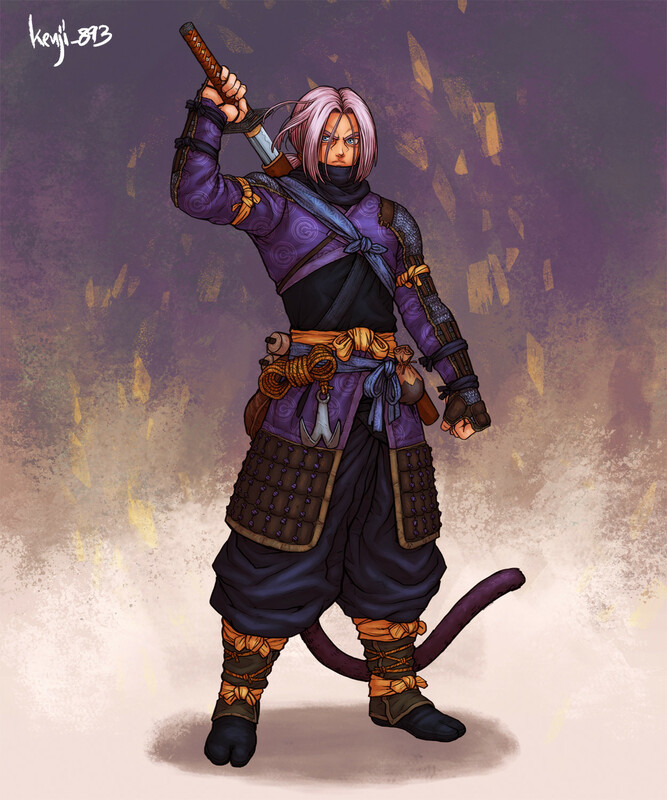 Samurai Future Trunks fighting evil throughout the universe with his beloved katana! I love how the design is kinda mysterious too! Now, we have the amazing fusions and their Samurai makeovers! 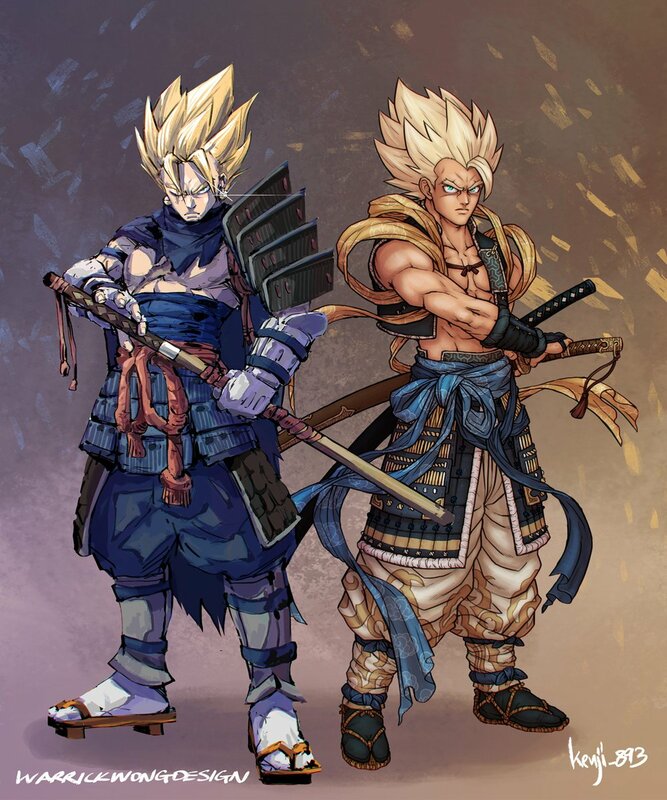 This is again a collaboration between Kenji and WarrickWongDesign where Kenji made Samurai Gogeta and Wong made Samurai Vegito. They made 3 versions of this – Base Design, Super Saiyan Design and Super Saiyan Blue design that you can see down below! I really like these designs. I think Samurai Vegito’s attire looks pretty neat. That blue color looks pretty neat.